Reggae gets a metal twist. With their perfectly balanced combination of reggae and metal, Skindred blew the crowd away from the moment they stepped onto the stage to the sound of "The Imperial March (Darth Vader's Theme)", all the way to their remarkable rendition of Justin Bieber’s “Sorry”. The Welsh rockers performed two tracks, “Nobody” and “Pressure”, from their debut album, Babylon, as well as some newer hits like, “Kill the Power”, from their 2014 project, and “Under Attack” from their latest release, Volume. Our absolute favorite moment, however? When the “Bruises” masterminds broke out in a cover of Black Sabbath's “War Pigs”, before tackling the always-energetic, “Jump Around” by House of Pain. 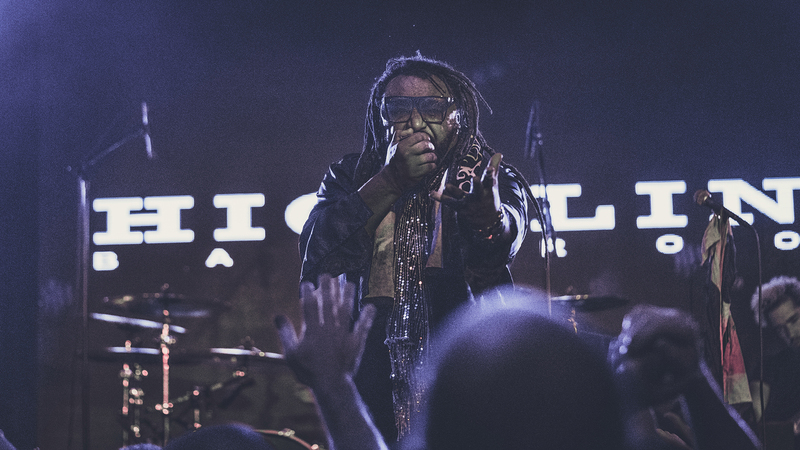 Check out our photos from the show below and make sure to track Skindred on Bandsintown so you don’t miss them when they come to a city near you!